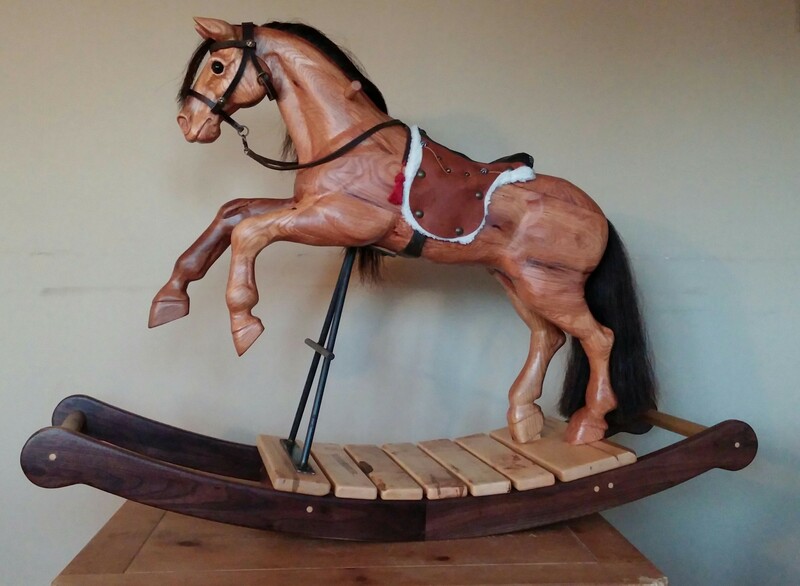 This playful rocking horse is my original design. It has a playful yet earnest expression that any youngster is sure to fall in love with. 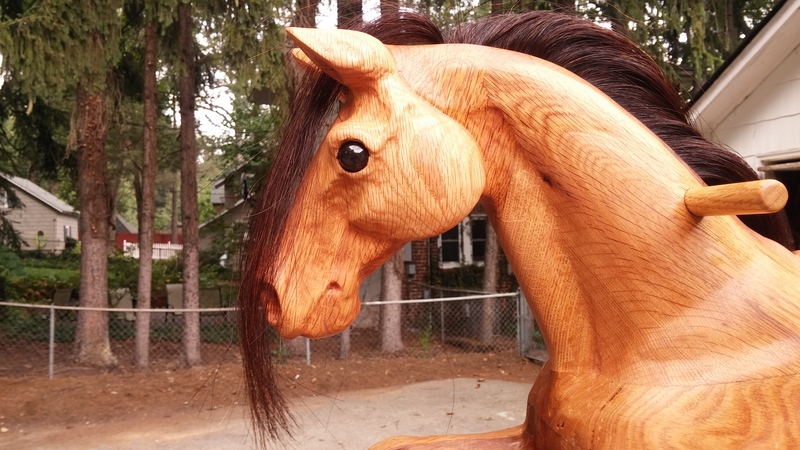 The well muscled horse body is made of honey colored reclaimed oak lumber. The rockers include maple and walnut with a striking marbled streak through it. It is supported with an iron stand with foot pegs for little feet. 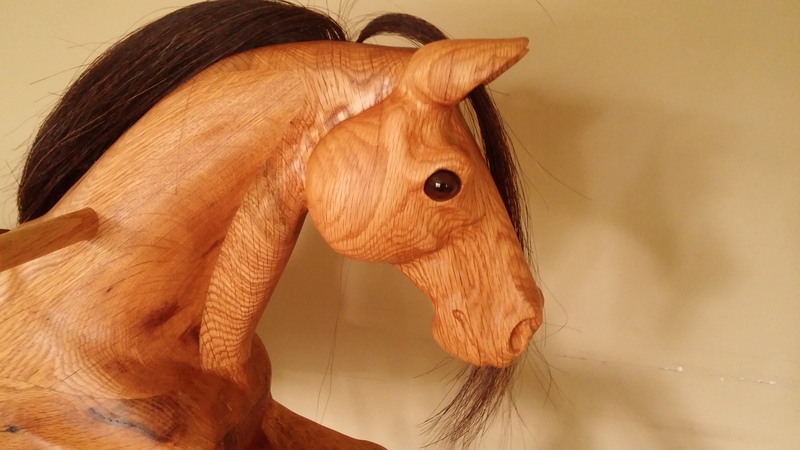 A genuine horse hair mane and tail completes the stunning horse. This horse is quite heavy, but sturdy enough for riders up to 120 lbs. 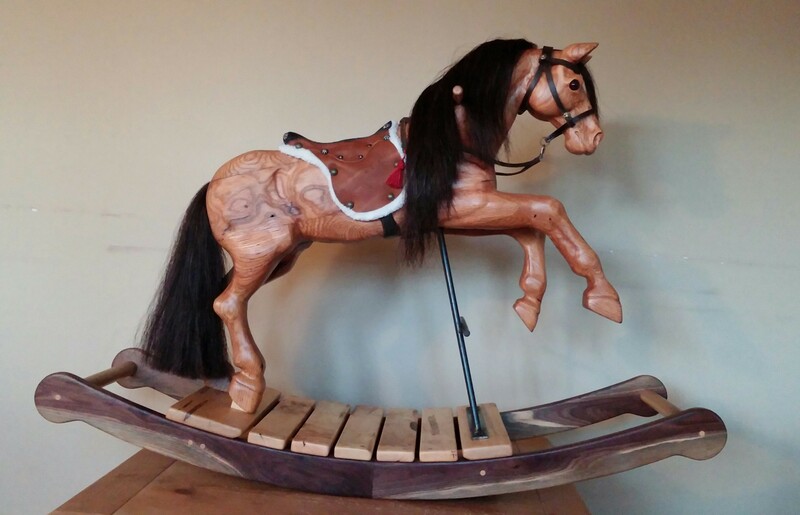 The saddle is hand made and is permanently attached for safety. 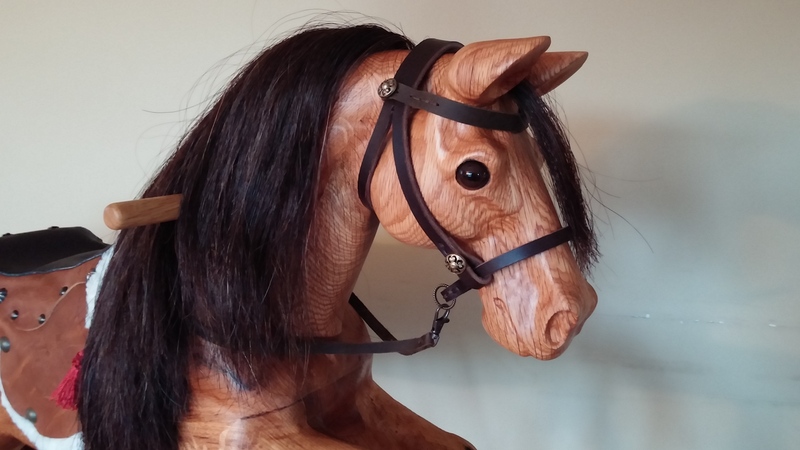 The bridle is also hand stitched and is fully removable.